We are a family-owned, local Independent agency in business since 1973. We are located in Schaumburg, IL primarily serving Chicagoland and the surrounding collar counties; with capability to handle 50 states and certain international needs. We work daily for local individuals, families and small businesses. Our focus is providing a personal and cost-effective service, minimizing your cost and maximizing your coverage. Our agency has expanded our capabilities to 50-state and global by our joining the ISU Agency Network in 2012. The ISU Agency Network members wrote over $ 2 Billion of premium in 2014, ranking us as the 2nd largest agency network in North America. This affiliation allows us to provide big-company capabilities, with the access and feel of a local office… the best of both worlds. From our beginnings as a proprietorship in 1973 named Germanos Insurance Services, through changing our name to Northwest Insurance Services in 1983, followed by our joining the national ISU Agency Network in 2012; we have always provided our clients independent, impartial advice. This creates maximum long-term value, Setting The Right Course for our clients’ insurance and risk management solutions. 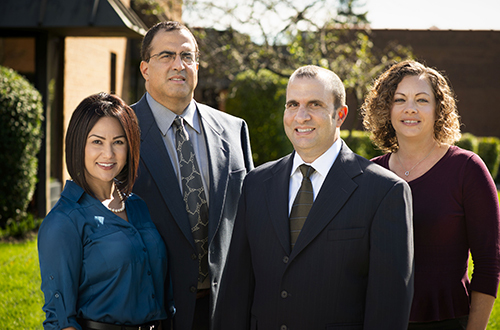 Our licensed agency principals Gregg A. Germanos and George A. Germanos, Jr., along with licensed associates Rachelle N. Gonzalez and Jennifer A. Oznoff, strive to provide you quality service; with your best interests in mind…at a competitive cost.